SciFest is an annual event that is a capstone for undergraduate summer research at Brandeis. Scientific research does not stop at Brandeis University even after the academic year concludes. Every summer we have 100-120 undergraduates on campus doing research, including students from Brandeis and from other institutions. Undergraduates talk about summer research at Brandeis. Funding support for Brandeis undergraduates comes from a variety of programs highlighted by an NIH Computational Neuroscience training grant and our alumni-sponsored Division of Science Summer Undergraduate Research Fellowships. 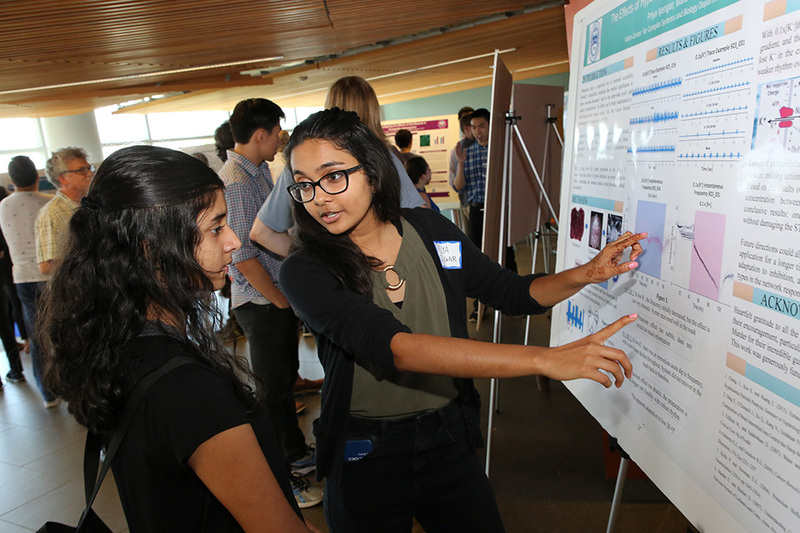 The capstone event for undergraduates is Summer SciFest, a poster session where students can present the results of their research to peers, grad students, and faculty. It is typically held in early August.